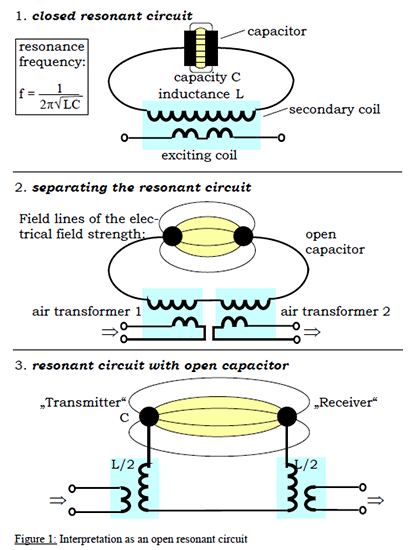 All devices have a transmitter, and one or various receivers R1, R2, R3, etc,.. Transmitter as well as receivers have open flat coils, usually a bottle of information in placed over one receiver and it is transmitter to other receivers and to transmitter, since communication is bidirectional among all them by resonance condition. An organic entity is situated in the vicinity, and usually between T and R, he becomes an information receiver according to the need of its own entity to accept resonance conditions, the information placed on R modulates carrier scalar wave, and the entity decides whether or not to get into resonance with the system. Since the information is transmitted by means of carrier scalar wave, has the features already explained for these type of waves. Digital DDS technology scalar wave device. Resonance is adjusted manually. It consists of 2 towers, one transmitter having a built in wave generator, and one receiver. It is possible to input music or any sound signal into a receiver special connector, and music will be transmitted to transmitter by modulating carrier scalar wave, in this way cells listen to music, but it is not heard. A loudspeaker is built in the transmitter tower, to be able to test the correct reception of transmitted music. Beyond music, it is also possible to transmit other signals of higher or lower frecuency, and will be transsmitted modulating carrier wave as well. Applications of modulated music are wide, specially in wellness centers, sound therapy, healing music, etc. Scalar Wave Transporter. 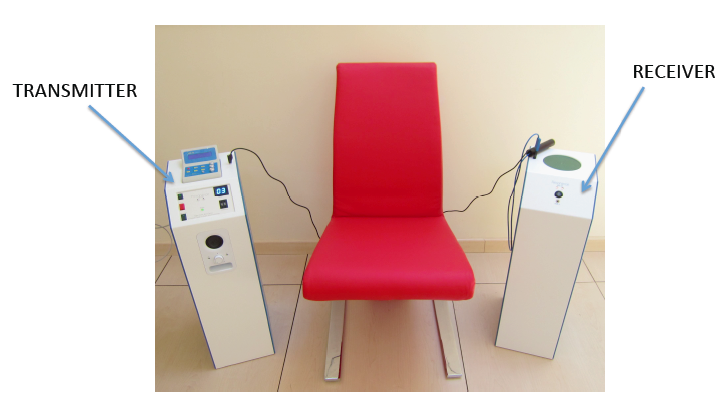 Resonance is adjusted manually with a DDS generator. 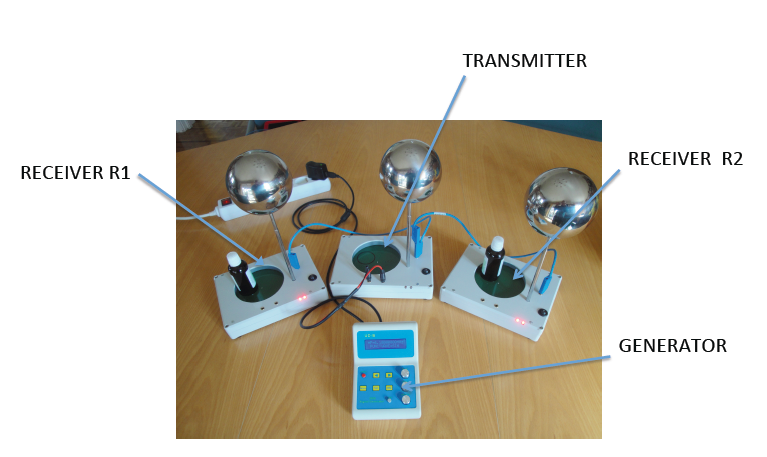 It consists of one transmitter and two receivers. 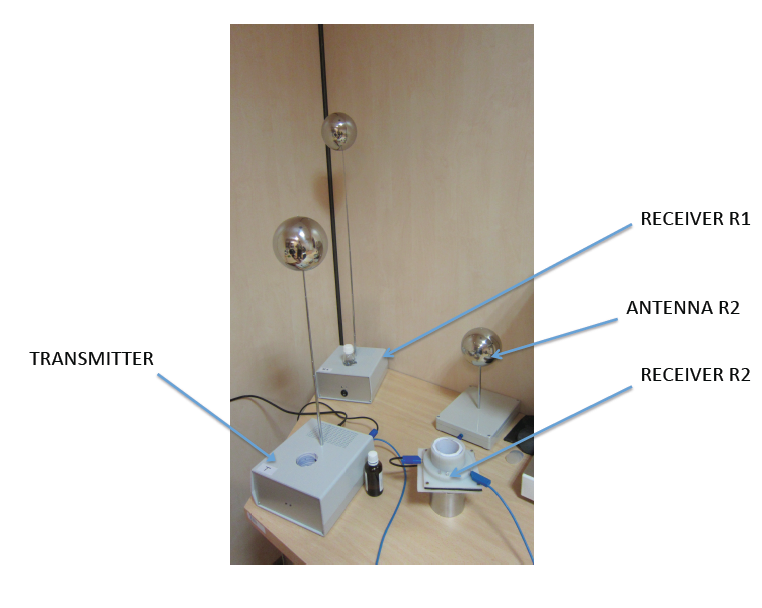 Antennas are telescopic in order to adjust fine resonance frequency between transmitter and receivers. The application of SWT is to make identical copies of biochemical substances. The substance is placed on receiver R1, and on the other reciver R2 a bottle with water based solution is placed, in short time, the substance placed in R1, will be transmitted to R2 bottle. Scalar Wave Transporter Homeopatic. Resonance is adjusted manually with a DDS generator. The application of SWH is to make identical copies of biochemical substances. The substance is placed on receiver R1, and on the other reciver R2 a bottle with water based solution is placed, in short time, the substance placed in R1, will be transmitted to R2 bottle. Receiver R2 is placed on dinamisation machine Dynamic 101, in this way the transmission is made when bottle R2 is being shaken, so that the information recording is from maximum quality.